Rune Translation – Jarlabanke let be raised these stones after himself, while he lived, and he built a bridge for his soul and alone he owned all of Täby. Additional Info – The inscription is identical with the stones that stand beside the famous Jarlabanke’s bridge in Täby. 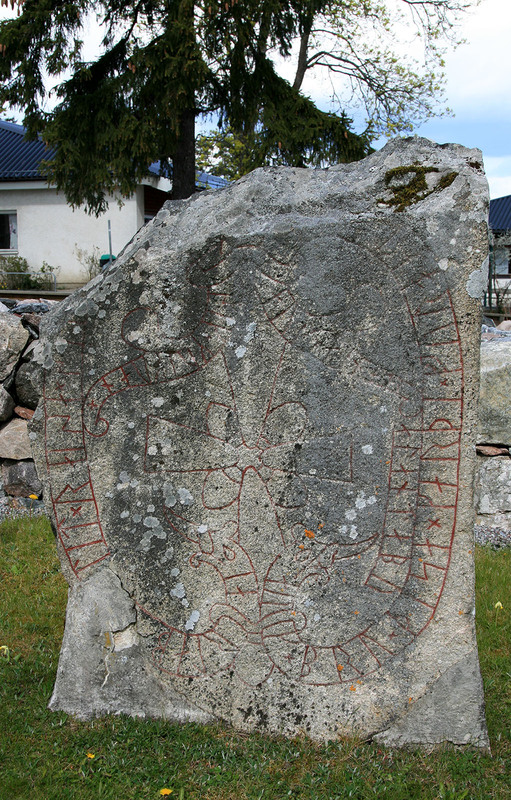 Possibly the stone stood at the southern endof teh bridge but moved to Fresta when the church was constructed during the middle ages. In the beginning it was walled in the church’s western wall. It disappeared during the 1700’s and was rediscovered in 1957 in the northern churchyard wall.